Even though some believe virtual worlds are nothing more than fads which will go away with time, others believe quite the opposite. What does the future hold for virtual communities and how will they perform through changing times and technological advances? Well, no one really knows! Even though real money trading already uses avatars to project real-world identification in the virtual world, this line is going to get blurred with time. From the elevated expansion of virtual resources trading to the better utilization of equipment in the virtual world for meeting people, the future of online worlds may evolve beyond its origins. Whether this turns out to be good or bad, is yet to be seen. But, there’s no denying the fact that these worlds can start working as centres for industry, commerce and companies. There are many real product companies which have started using online worlds to prototype, sell and promote their products. The list of brands that have already made appearances in virtual worlds is quite large. Having a number of different meta verses will easily surpass the conception of a having a single virtual world as thought of by science fiction writers. This is because just like there is a list of never-ending websites, in just a couple of decades, the number of online worlds available to choose from is also going to increase. 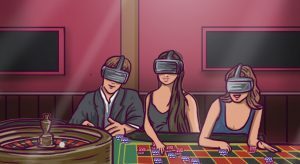 You may have to visit online worlds in the future where you can earn salaries, then go to a different one to complete your college program, and then a third where you can play games with friends. As technology advances, and gaining access to virtual worlds becomes easier, the chances of online virtual worlds becoming a part of our everyday life are only going to increase. Soon, it will no longer be just for games, it will be a way of life.